House Minority Leader Nancy Pelosi (D-CA) will hold a press conference at 12 p.m. ET Wednesday, a day after Democrats won control of the House of Representatives. President Trump is scheduled to hold a press conference at 11:30 a.m. ET Wednesday, the morning after Democrats won control of the House of Representatives and Republicans expanded their majority in the Senate. 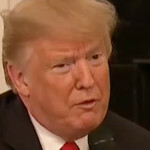 President Trump on Wednesday pledged to send even more troops to the border with less than a week to go before the midterm elections. Trump has ginned up fears over a caravan of asylum seeking migrants currently more than 1,000 miles away from the U.S. southern border. “We’ll do up to anywhere between 10 and 15,000 military personnel, on top of Border Patrol, ICE and everybody else at the border. Nobody’s coming in,” Trump said. With less than a week until the midterm elections, President Trump on Wednesday said he was deploying “many more troops” to the U.S. southern border. Trump has already deployed more than 5,000 troops to the border over a caravan that is still about 1,000 miles away from the U.S.
Rapper Kanye West on Tuesday said that he’s stepping away from politics, after months of developing an increasingly cozy relationship with President Trump. 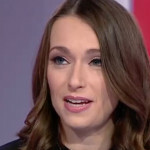 Journalist Julia Ioffe, a correspondent with GQ magazine, apologized on Monday for saying that President Trump had radicalized more people than the Islamic State.